WASHINGTON – Tohono O’odham leaders “looked us in the face and lied” about their plans for a Glendale casino, and Congress needs to step in and stop it, opponents of the project told a Senate committee Wednesday. The plan calls for a Las Vegas-style resort on property the tribe bought to make up for land it lost in the 1970s and 1980s, when the federal government built a dam that flooded part of its reservation. That land is a “county island” – Maricopa County land surrounded by the city of Glendale – about 100 miles from the Tohono O’odham reservation. The casino proposal was unveiled in 2009 and drew immediate opposition from city leaders and from other tribes in the Valley. But the plan has survived repeated court challenges and the Department of the Interior has declared the recently purchased property tribal trust land, making it possible to put a casino there. Enos and other tribes in the area accused the Tohono O’odham of buying the land in secret, and said another casino in metro Phoenix breaks promises between the tribes and the state that were made in a voter-approved 2002 gaming compact. Enos noted that the gaming compact is up for renewal in 2027, which why tribes are “fighting so hard” to oppose the Glendale casino. Voters need to be assured that their “word is good,” she said. 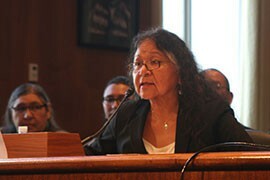 She urged the committee to pass a House bill that would block the casino until 2027. “This is a problem that only Congress can fix,” Enos said. That was echoed by Rep. Paul Gosar, R-Prescott. 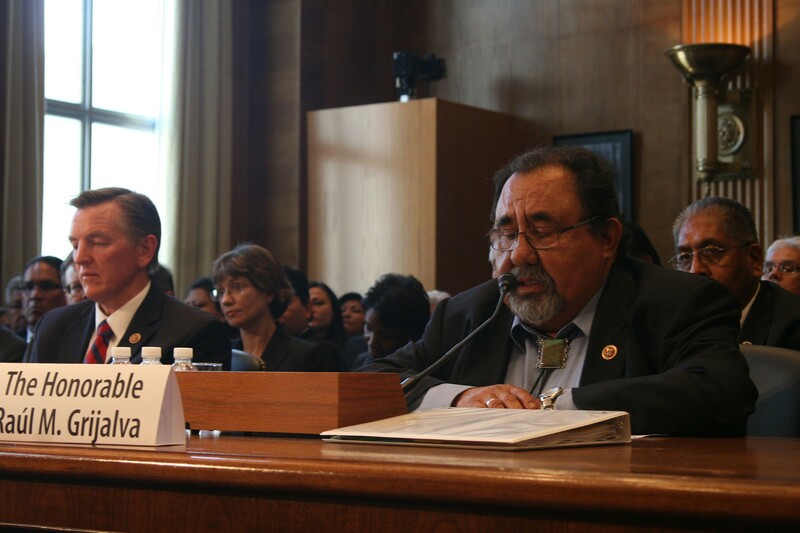 “Every court case, every administrative review, has upheld that law and the tribe’s right to the West Valley and the development of that” project, Grijalva said. Sen. John McCain, R-Ariz., was involved in drafting the Gila Bend Indian Reservation Land Replacement Act, the deal that allowed the Tohono O’odham to buy the Glendale land. McCain, now a member of the Senate Indian Affairs Committee, said Wednesday that he can see both sides of the issue. “I share the objections of many Arizonans when I see a casino being air-dropped into the metro Phoenix area,” McCain said. But added he also understands the city and courts have ruled in favor of the Tohono O’odham proposal. McCain said he hopes that by working together, the tribes, cities and state can resolve this issue which has “caused so much controversy and difficulties” in Arizona. Assistant Secretary on Indian Affairs Kevin Washburn testified Wednesday that there are still “some steps that need to happen” before gaming can begin at West Valley, such as getting a facility license from the National Indian Gaming Commission. After Interior’s reaffirmation this summer that the land qualified as reservation land, the city of Glendale last week reversed its long-standing opposition to the casino, Glendale Mayor Jerry Weiers said Wednesday. The council voted 4-3 to support the casino after one council member changed his position, Weiers said. “With few choices left, the slim majority of my council felt we had to come to the bargaining table with this deal,” Weiers told the committee. “Our choice was not ideal: Continue to fight and hope for action from this body, or give in to this casino that was forced on us,” he said. 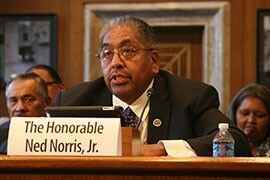 Ned Norris Jr., chairman of the Tohono O'odham Nation, defends his tribe's plans for a casino in Glendale. 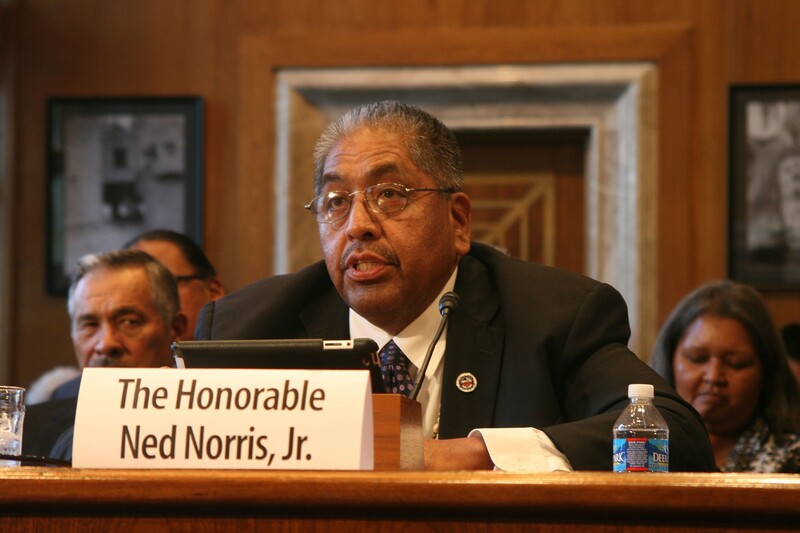 Norris told the Senate Indian Affairs Committee the project complies with all rules, which is why courts and the Interior Department have upheld the tribe's plans. 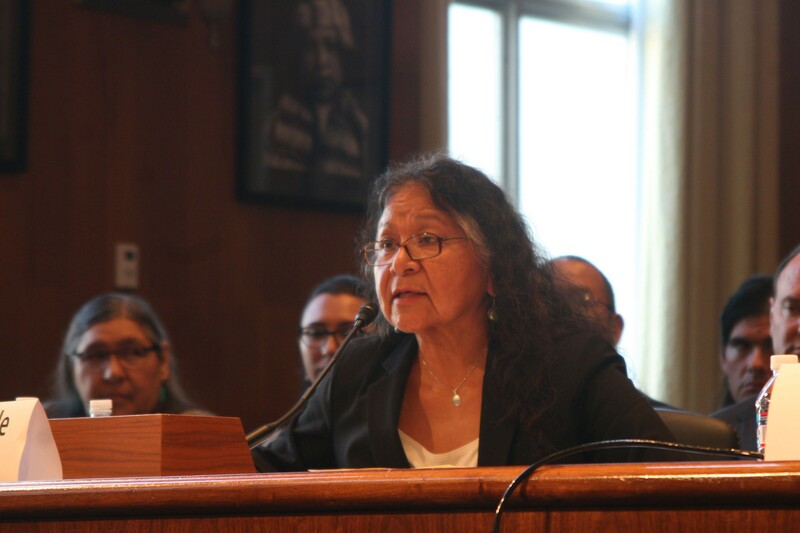 Salt River Pima-Maricopa Indian Community President Diane Enos testified that her tribe believes the Tohono O'odham plan for a Glendale casino breaks the promise between tribes and the state that was made in the voter-approved 2002 gaming compact. Arizona Reps. Paul Gosar, R-Prescott, and Raul Grijalva, D-Tucson, testify on a proposed tribal casino in Glendale and a House bill the would block the casino. 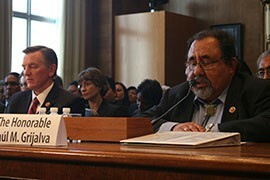 Gosar opposes the project, which Grijalva supports.